Open table. Seats 6, but reserved for 2 working spaces. 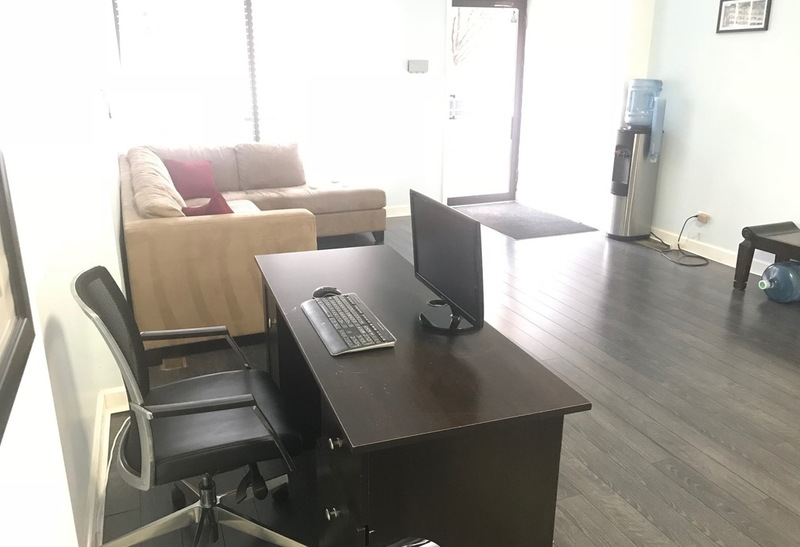 In the Heart of Italy area of the Pilsen neighborhood, we offer a friendly and professional environment for you to work or hold meetings. Office has wifi, printers, lounge area, free coffee and bottled water, microwave, refrigerator. 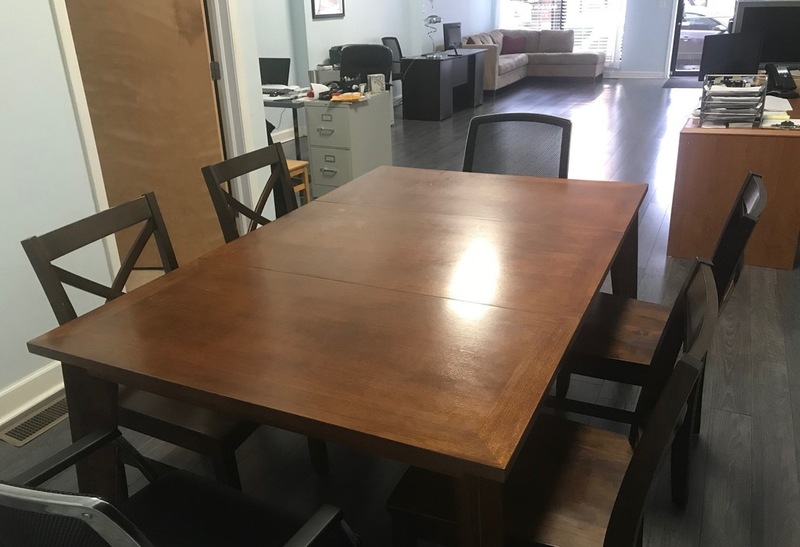 900 sq ft of office space with lots of natural light. Generally a very quiet work environment. Easy street parking. Real estate services company with 2 employees. We have plenty of extra office space.